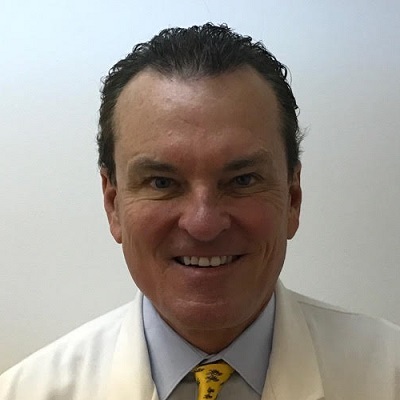 Your Eye Doctors in Cleveland, Akron & Canton for Over 30 Years! 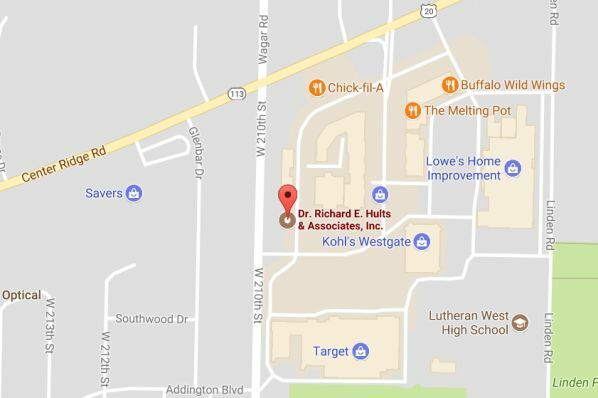 That’s right, while a lot might have changed in the last few decades, one thing has remained the same – the exceptional level of care that Dr. Richard Hults and Associates has to offer. Best of all, you can see us for an eye exam 7 days a week, so there are always plenty of appointments available. Using Clarifye and Optos Retinal Imaging, our optometrists are able to map the unique “fingerprint” of your eyes with digital precision, to pinpoint the prescription you need to see your best. We can also diagnose Glaucoma, Cataracts and Macular Degeneration and identify various systemic disorders like diabetes, hypertension and high cholesterol. We handle everything from eye exams and hard-to-fit contact lenses, to computer vision problems, specialty lenses and the management of eye disease. 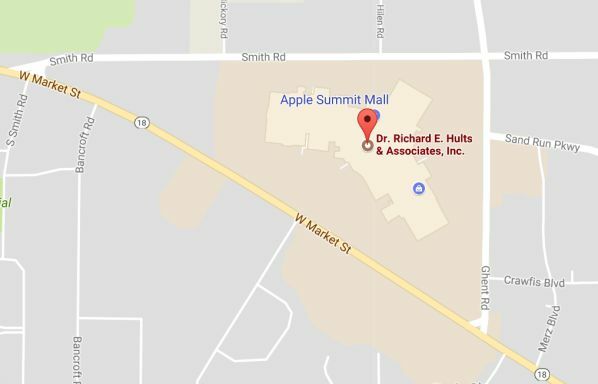 At Dr. Richard E. Hults & Associates, we have been successfully fitting the most hard to fit patients for years. There are many factors that can determine if you are able to wear contact lenses successfully. We are contact lens experts! Our eye doctors are trained to provide a wide variety of services, including comprehensive eye exams and diagnosis and treatment of many eye diseases. 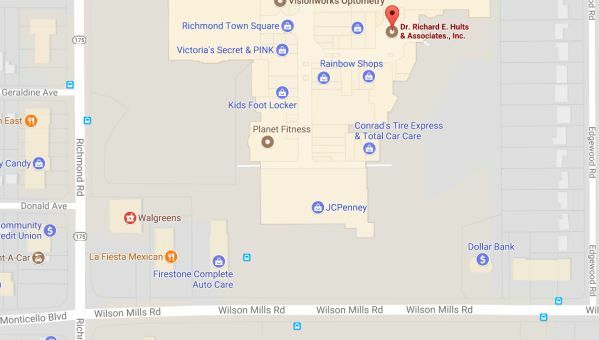 We are also conveniently located in a Lenscrafters, so all your vision needs can be met in one visit. Clarifye incorporates advanced technology into a streamlined and informative exam process. You’ll come out of your Clarifye exam with a new understanding of your eyes and insight into your overall health. Schedule today! 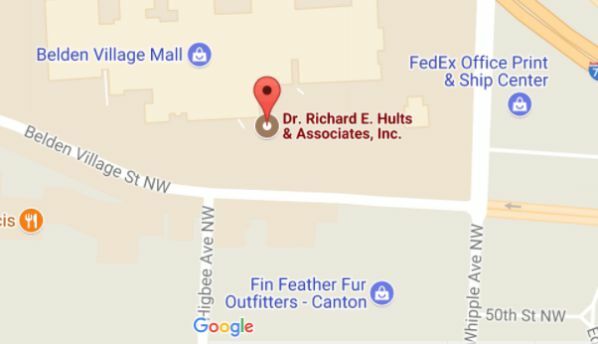 We take pride in ensuring that you have a pleasant and comfortable eye care experience at Dr. Richard Hults & Associates. Our offices are equipped with high-tech diagnostics, giving you precise diagnoses and efficient appointments. All of our Akron, Canton, and Cleveland optometrists share a mission to stay on top of the latest medical developments, so you receive the best treatment possible. With a personalized approach to eye care, we will answer your questions and address your unique vision concerns. To make sure that you receive attention for your vision when you need it, we’re available for eye exams seven days a week. Quality vision and patient satisfaction are our top priorities! My ten year old recently found out she needed glasses and I'm so happy we came to this office. We had a great experience from start to finish. They got her right in for an exam and had her glasses ready that very week. The doctors and staff showed such care, patience and attentiveness when helping my daughter with her glasses and later her contacts. (They sat with her for two hours helping her get her contacts in and out for the first time! They were beyond patient and supportive!) I would recommend this practice to anyone, especially those with children, because the care here is really top notch. Very helpful and took the time to help me find the correct contacts! Thank you, and would recommend! the front desk ladies are awesome!!! Hands down this is one of the best eye care facilities. Dr. Emily was awesome. She was very informative about my eyes and even gave great suggestions on the rout I should take as far as contacts verses eye wear. Very funny personality but also very caring. Loved the staff - very respectable and WONDERFUL CUSTOMER SERVICE. Make the most of your day with DAILIES® AquaComfort Plus® Brand Contact Lenses. Start each day with a brand new pair of contact lenses and throw them out each night—no cleaning solutions, no cases, no hassle. To Learn more about DAILIES® AquaComfort Plus® contact lenses – Click here. With single-use, daily contact lenses that offer innovations in comfort and design, everyday can be a fresh start. End your day the same way you start it with fresh eyes. 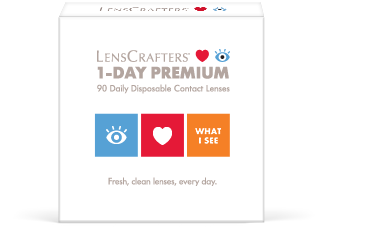 Single-use contacts feature the best innovations for eye health, with lenses that offer a balance of breathability, comfort and ease. 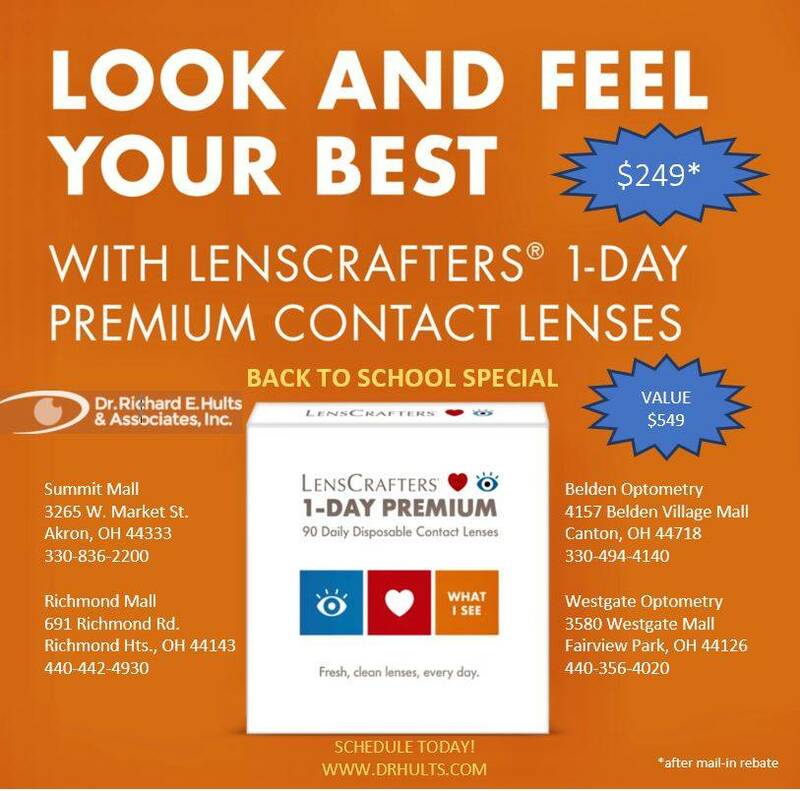 Learn more about 1-DAY PREMIUM contact lenses. If you think you may have a foreign body or rust in the eye, swelling, infection, red or pink eye, or any eye emergency, contact us immediately for guidance. We’ll help you with the best treatment to prevent complications and promote long-lasting clear eyesight. Use your best judgment on urgency. If you feel you need immediate attention or our office is closed, please find the nearest emergency room. We keep the best optometric technology at our fingertips. Depending upon your individual needs, we may use Corneal Mapping, the OPTOS Retinal Exam, Visual Field Testing, and the CLARIFY Digital Eye Exam. Using detailed digital imagery and advanced medicine – we’ll manage any eye disease, such as macular degeneration, glaucoma, cataracts, and diabetic retinopathy. Signs of other medical conditions, such as hypertension, diabetes, and high blood pressure, may also appear in your eyes. When our eye doctors perform a comprehensive eye exam, we also look out for any of these warning signs. We care about your total health!